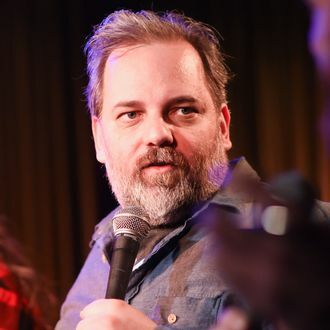 After engaging in a Twitter conversation with a former writer on Community, Dan Harmon has delivered a long, searching apology for his harassment of her, which she accepted and shared as an example of how to make things right. Earlier this month, the Community creator apologized to Megan Ganz, a writer on the show, for being “an awful boss and selfish baby” while running the show. By way of apology, Harmon later went into great detail on an episode of his podcast, describing how he pursued and harassed Ganz while they worked together. In the episode, starting about 18-and-a-half minutes in, Harmon describes feeling attracted to Ganz, who worked for him while he had a girlfriend, and refusing to confront his feelings. Eventually, he broke up with his girlfriend, and declared his love for Ganz, who both did not reciprocate and said his attention made it impossible to do her job well. After which, Harmon describes acting more resentful and vindictive toward Ganz, undermining her as a writer, and damaging his show in the process. “What I didn’t expect was the relief I’d feel just hearing him say these things actually happened,” Ganz added. “I didn’t dream it. I’m not crazy. Ironic that the only person who could give me that comfort is the one person I’d never ask.” She concluded by accepting Harmon’s apology, and forgiving him.